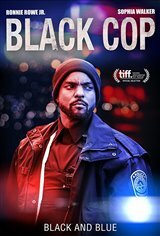 A black police officer (Ronnie Rowe Jr.) who decided to join the force to protect people, but also to enjoy the power and the "perks," becomes torn between his loyalty to the badge and the color of his skin. With tension growing due to Black Lives Matter turning up the heat on law enforcement, he finds the systematic abuse of black people by the police more and more impossible to ignore. With tension growing and Black Lives Matter turning up the heat on law enforcement, he decides to take matters into his own hands. He decides to inflict on white people the same thing that has been inflicted on his own people. Impulsively, he spends a day treating white civilians the way white cops treat black people – trailing and intimidating unassuming white people using unnecessary hostility, physical threats and even violence.